A developer tool for interacting with and querying the Max for Live API within a Live session. Try out sample commands sent to live.object and live.path objects, or learn behavior of live.observer on observable properties. LiveAPI-Interactive simplifies debugging of LiveAPI calls by printing your typed commands and their output directly into a console. 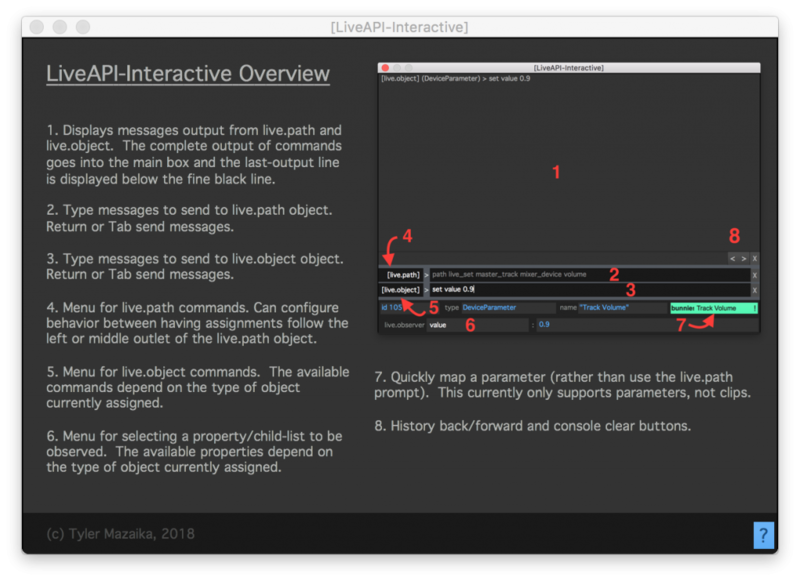 LiveAPI-Interactive helps a Max for Live device developer ask and answer questions of “how do I do that?”, “is it possible to do X”, “why doesn’t this API command do what I think it will?”. It’s a practical complement to the LiveAPI documentation. 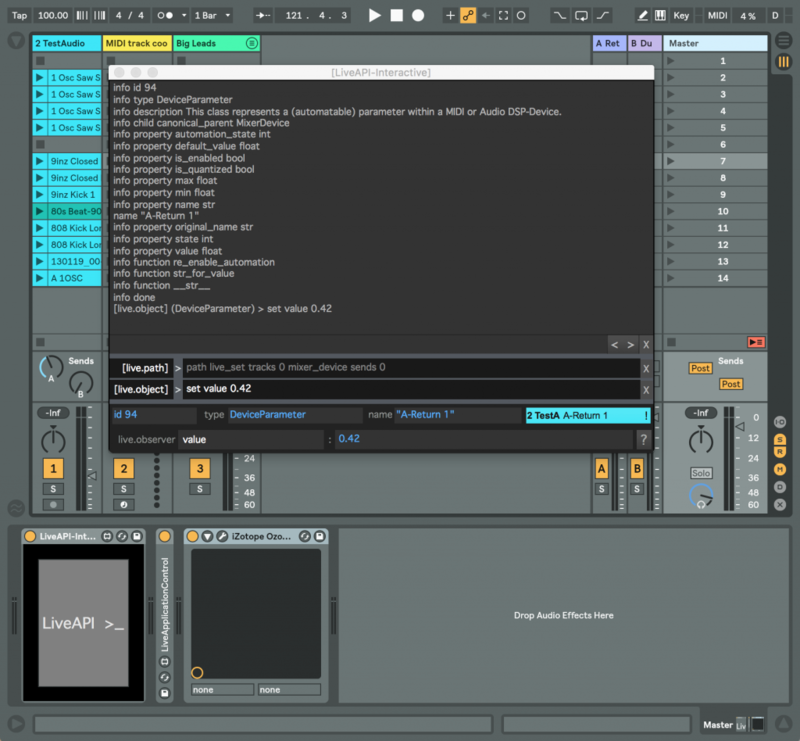 Using the LiveAPI-Interactive window to change and observe Send A level in the first track. Usage overview is built into the floating window.